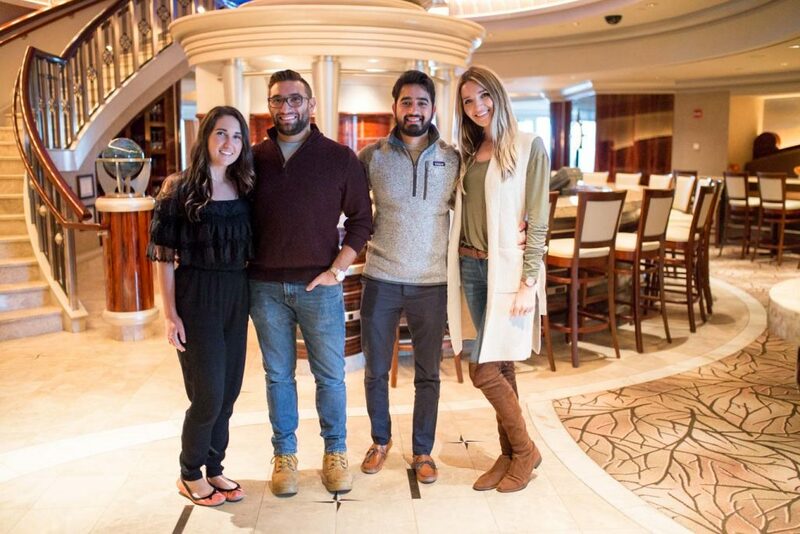 A few weeks ago, Armaan and I took a fun couples’ weekend getaway with some of our closest friends to Connecticut to stay at the Foxwoods Resort Casino and had the most amazing time! 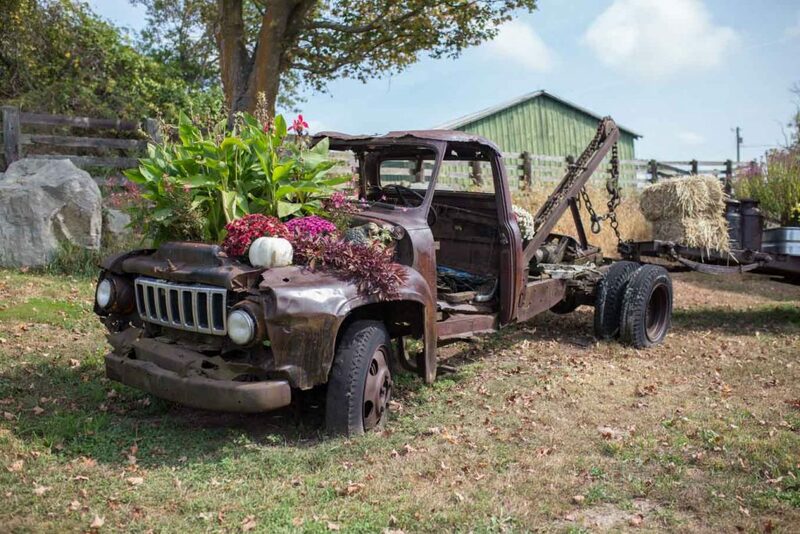 It was Armaan and my first time staying in Connecticut, and we came at the perfect time of year. Driving and seeing all of the leaves start to change was just gorgeous! 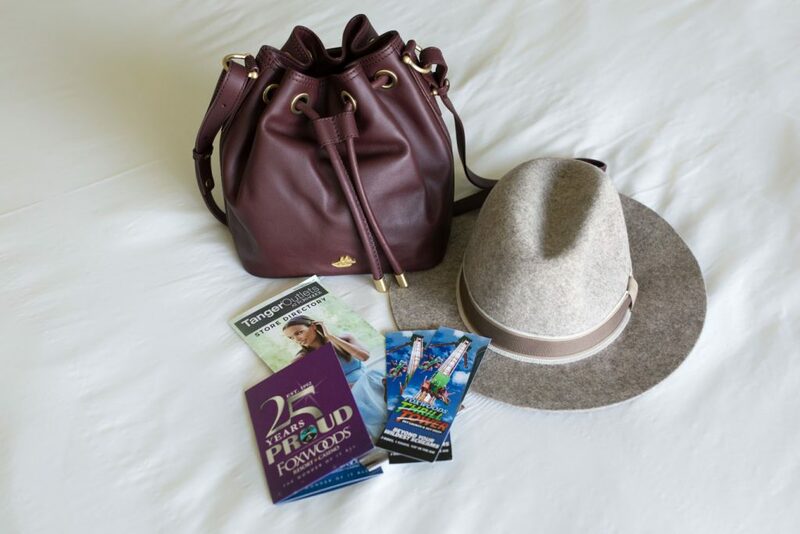 From the beautiful surrounding area, the wonderful amenities inside the hotel, to the quaint New England towns nearby, we loved it and couldn’t wait to share a little bit more about our fall weekend getaway at Foxwoods Resort Casino! Foxwoods Resort Casino is sprawling! There are five separate hotels, but we all stayed at the Fox Tower for this trip. The room was the perfect size for two, spacious with a huge bathroom and super comfortable. The view we had was also incredible! I loved sipping coffee in the morning looking out at the fog over the trees. Everything is in close walking distance, which is another added bonus. The casino, restaurants, and shopping in Fox Tower are all downstairs (you hear nothing from your hotel room of course! ), so whatever you need, you can run down and grab! 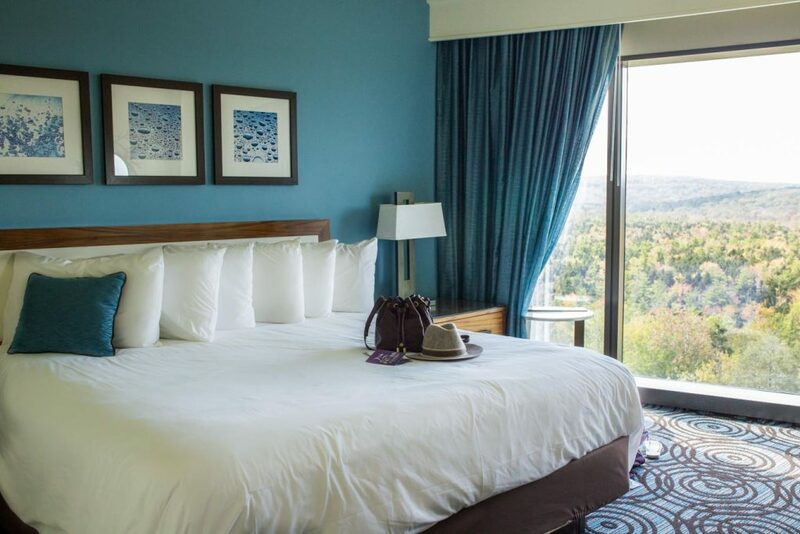 This particular hotel connects with the Grand Pequot, which can be a bit of a trek but where you’ll find a few other casinos, a ton of shopping and restaurants. Among some of the things, our friends and we could not stop raving about was the food. Definitely go here with an appetite! 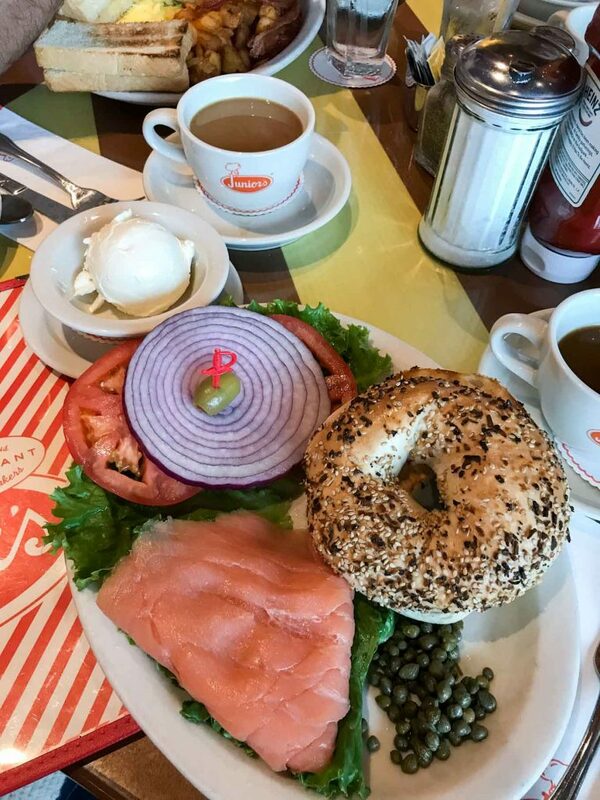 From coffee shops, to quick bites, to upscale restaurants, there is something for everyone – even the pickiest of eaters! 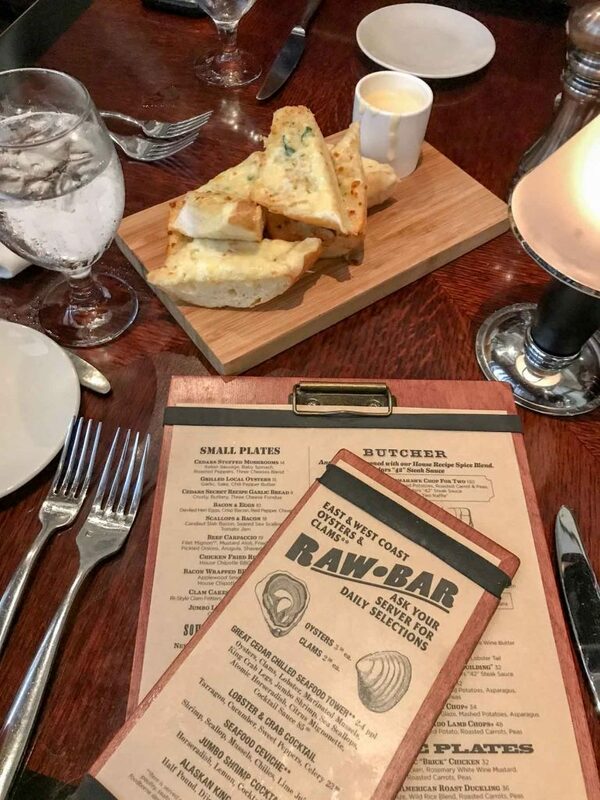 Make sure to make reservations at wherever you’re thinking of dining, especially on the weekends. For breakfast our first full day, we went to Juniors! When I saw they had one of these at the hotel, I could barely contain my excitement. My favorite cheesecakes ever are from Juniors, so I knew we would have a delicious breakfast, and we did. From the Eggs Benedict, pancakes and smoked salon with a bagel, we left feeling full and super satisfied. It’s a great easy place to start the day! Cedars Steakhouse was dinner the first night, and it was beyond delicious! The ambiance is amazing in the dining room where we sat, and before we even began ordering, we were all glad that we had a light lunch! All four of us ordered a bottle of wine to share and started with the most amazing garlic bread with a fondue dipping sauce, lobster bisque and beef carpaccio. The garlic bread is a must order! For our entrees, I opted for the roasted chicken while everyone else got the steak, but all around – we didn’t have one bad bite. Brunch our last day was one for the books. 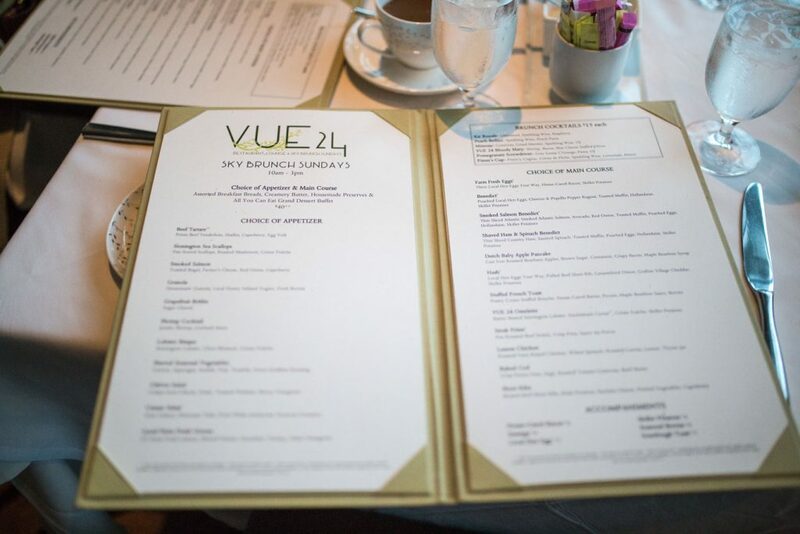 Vue 24 is located in the Grand Pequot Tower on the highest floor overlooking that same amazing view we had from our room. We did the Sky Brunch Sunday price fixed, which was out of this world! We ordered a few drinks (amazing! ), but what we were most impressed by was the options that they had for brunch. We all ordered an assortment (we wanted to try everything!) and started with some bisque, salmon and capers and scallops, for our starters! We didn’t think it could get better than that, and then our main courses came. 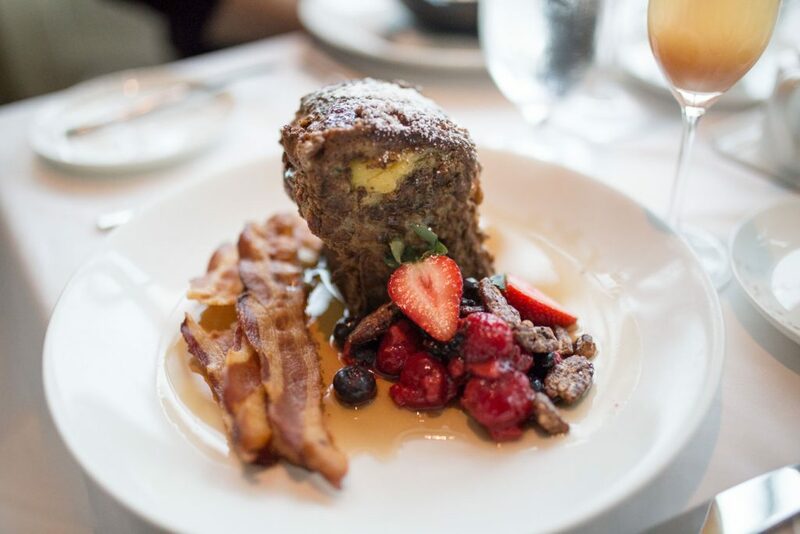 From the stuffed brioche French toast, to the Eggs Benedict, to the egg hash, everything was fabulous! If you aren’t stuffed after your first or second course, head to the dessert bar and grab something. 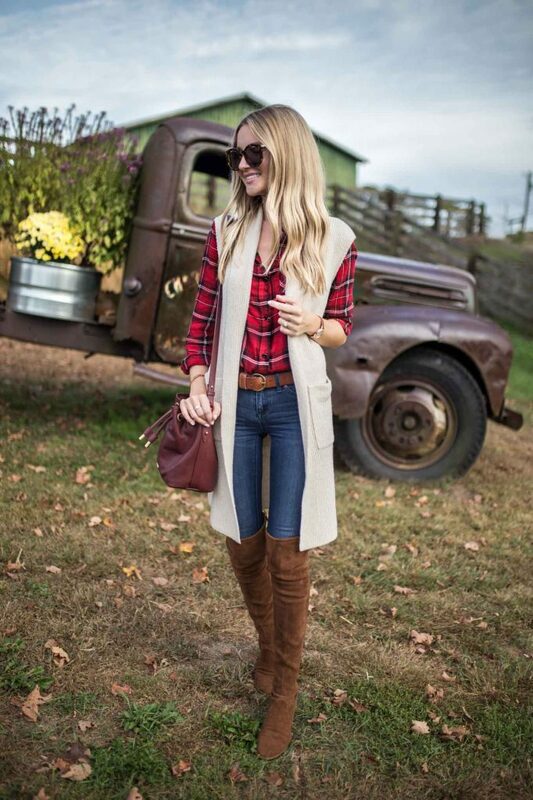 If you’re in the mood to do some shopping, you are in luck! Inside the Foxwoods is Tanger Outlets. My girlfriend Tara and I did some shopping while our husbands were exploring the casinos, and we were surprised by the wide the assortment of shops they had. There is so much to do, not only in the hotel but the surrounding area as well! The first one being the casinos. There are a ton in each hotel, and Armaan and our friend Ryan actually had gaming lessons at the casino in the Grand Pequot tower while Tara and I shopped It was the highlight of their trip! They loved learning more about specific games and the personal lesson that went into detail on how exactly to play them. If you’re not a casino lover, there are spas in each hotel or if you want some thrills, head to the Thrill Tower or zip lining! 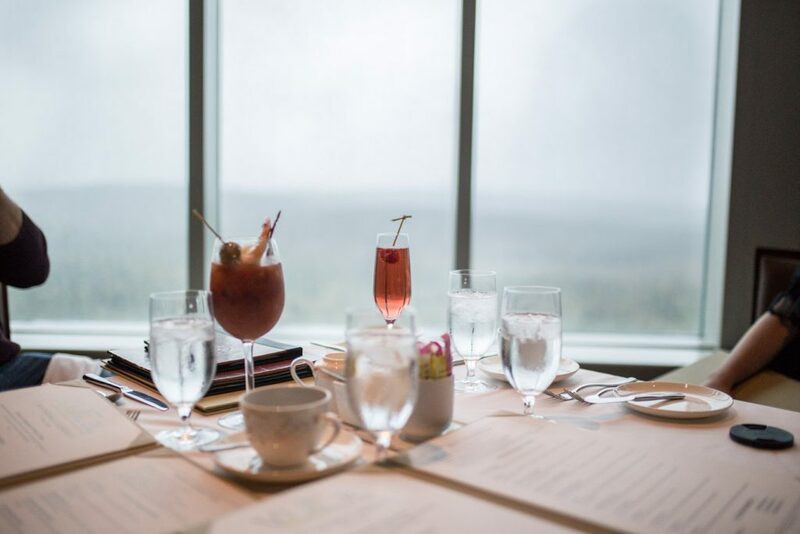 If you’re looking for a couples getaway or just a fun little weekend trip, definitely give Foxwoods a try! 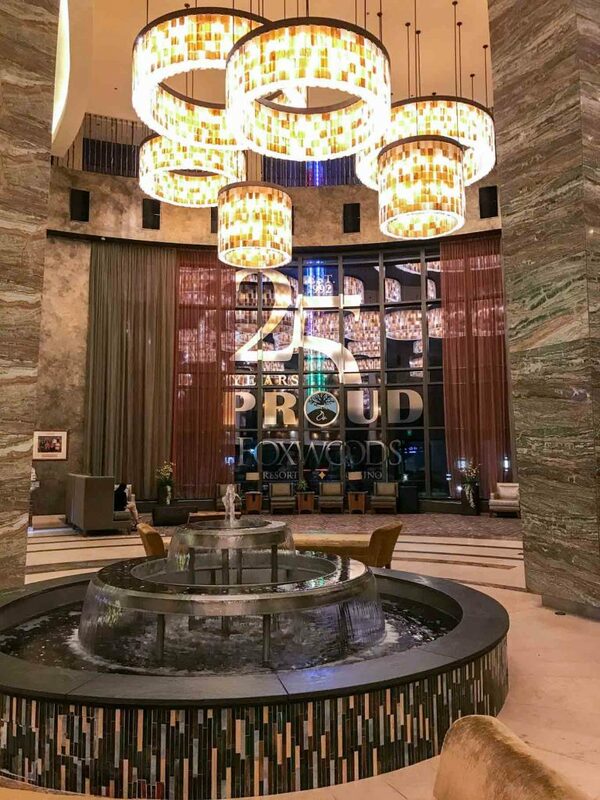 Thank you to Foxwoods for hosting us and sponsoring today’s post! All opinions are my own.